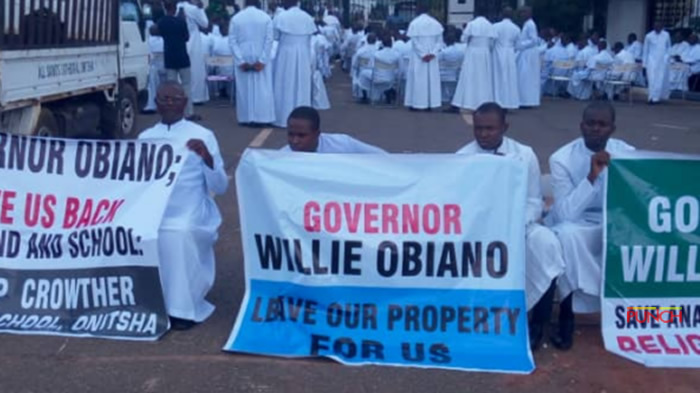 Some Anglican priests who have become angry with the governor of Anambra state, have stormed the Government House in protest. 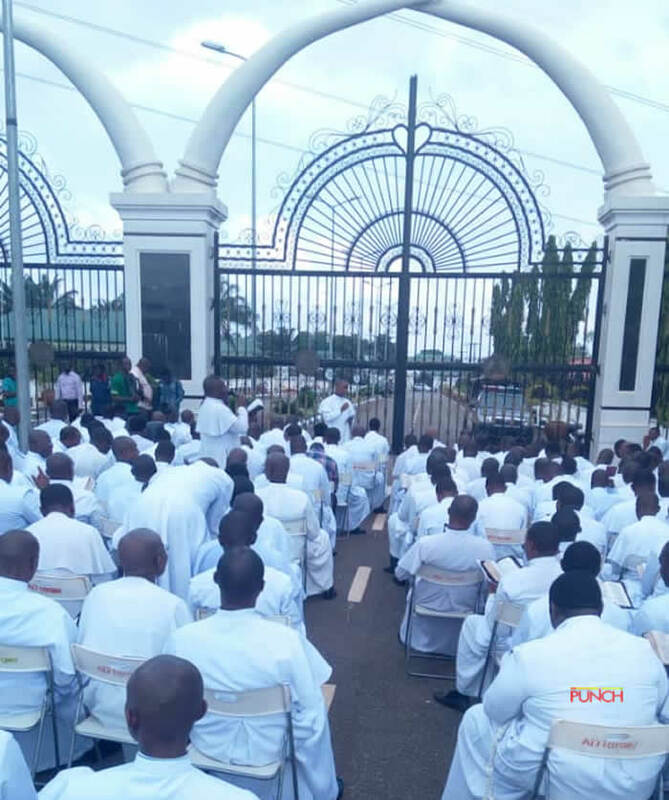 According to a Punch Metro report, no fewer than 300 priests of the diocese of the Niger (Onitsha area) on Friday stormed the Anambra State Government House, accusing the state governor of religious bigotry. See more photographs below as taken by Tony Okafor.